As Facebook rolls out new paid features, it’s providing agencies more tactics to pitch to their clients. One of the latest features to be released is Facebook Offers — coupons and deals offered by local merchants that appear in fans’ News Feeds and Sponsored Stories. In order for your agency to properly pitch and launch Facebook Offers to clients, you need to understand how the feature works, what economic value it can have for your clients, and how they can leverage it for their businesses. Facebook has an incredibly varied assortment of options for advertising to and engaging with consumers, customers, or clients so it can be difficult to sort through it all. To alleviate that, let’s survey the information you’ll need to successfully pitch your client on Facebook Offers. As mentioned above, you can push out Facebook Offers through your fans’ News Feeds. Facebook users simply check the offers in their feeds, claim their discounts, and redeem the offers through email or directly from their smartphones. 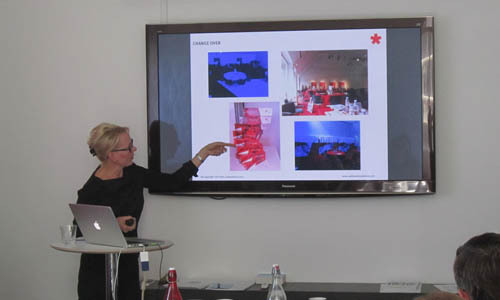 It’s a quick process that effectively connects the online and offline worlds. Offers are free for fans; the cost of running a Facebook Offer for your clients can be as little as five dollars. Although the concept of Facebook Offers is similar to those of daily deals sites, Offers has three distinct advantages over its competition. Firstly, there’s no minimum required number of purchases for the offer to go live. If your fans claim it, they can redeem it. The second advantage (to your fans) is that they don’t have to buy anything up front. But the most important advantage of Facebook Offers is its viral potential. When someone claims a Facebook Offer, his or her social graph is notified, triggering online peer recommendations which are extremely valuable to merchants. 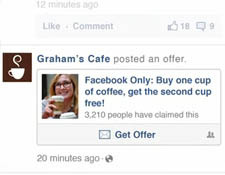 There are two main scenarios in which your clients can benefit from running a Facebook Offer. 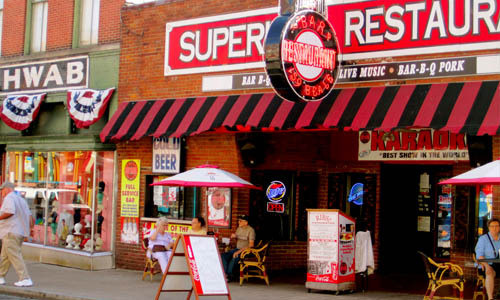 The first is generating an overall increase in foot traffic and sales. This is probably the most popular reason for a Facebook Offer. Have your client highlight its signature product or service, and create incentives to get it in the hands of its customers. This tactic will be an old favorite to returning customers, and will act as a hook to bring new customers in. The second scenario would be to launch a new product. There is a little more risk to this option, since you can’t be sure that everyone will love your new offering. Nevertheless, this tactic can reinforce brand loyalty from existing customers, and it can turn new customers into lifelong patrons. Make sure your clients can see the economic benefit of Facebook Offers by backing up your pitch with the following hard numbers and important concepts. Calculate Current Customer Acquisition Costs: Start with how much your client is paying to get its current customers. If you don’t have figures to nail down exactly how much your client is paying for customers through different marketing channels, at the very least, figure out the overall customer acquisition cost. Take monthly sales divided by the monthly marketing budget. Understand the Value of a Customer: One goal of running a Facebook Offer is to generate new customers. But how valuable is a new customer to you? How much potential new business will you be earning with your Offer? Couple this stat with your customer acquisition costs in mind, and you’ll start to see if the math supports running a Facebook Offer. Check If Your Client Has the Capacity to Make This Offer: If this is a customer’s first experience with your client’s company, it has to be a good one. Oversubscribing your client’s bandwidth to produce the goods for the offer will erode the customer experience to new customers. Leaving a bad taste in customers’ mouths could lead to bad PR, or even a consumer backlash. Clients always like to see proof of success. 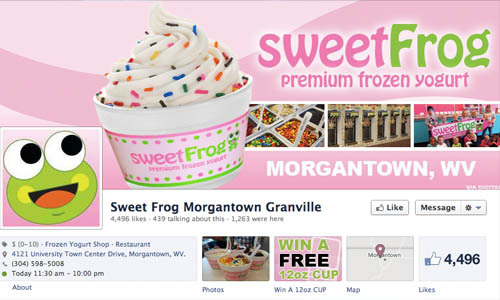 If you haven’t run a Facebook Offer yet, use Sweet Frog Frozen Yogurt in Morgantown, Virginia as a successful case study you can offer your client. The frozen yogurt shop used Facebook Offers to increase its foot traffic and sales by offering fans a “$4 all you can fit in a 12 oz cup!” Facebook Offer. In one month, more than 9,200 people claimed the offer. Over 140 people redeemed the offer in-store and 382 people redeemed the Facebook Offer on their phones. The 500 new Facebook Likes that Sweet Frog got on its Facebook Page were icing on the cake! Sweet Frog currently stands at 4,500 fans — not bad for a local frozen yogurt shop. Facebook Offers is great service for retailers and small businesses. It enables merchants to highly target Facebook users and create more foot traffic, while customers get discounts on their favorite goodies. Make sure to take these tips into consideration when your agency is pitching a client on Facebook Offers. Jesse Bouman: Jesse Bouman is a stubborn entrepreneur and currently the Director of Content Strategy at Xivic Inc. Previously he founded the digital marketing agency Demeter Interactive, which was acquired by Xivic. He’s a self-described budding philanthropist, social media nerd, and technology geek. 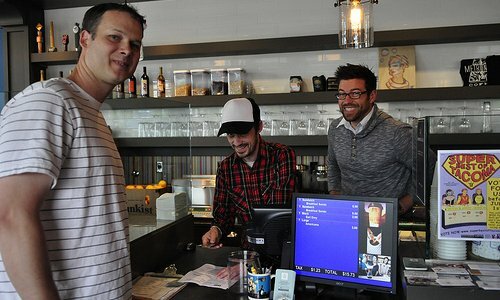 When not at his desk blogging or tweeting, he can be found at the beach, in a coffee shop, exploring LA’s hidden treasures, or playing a game of dodgeball.